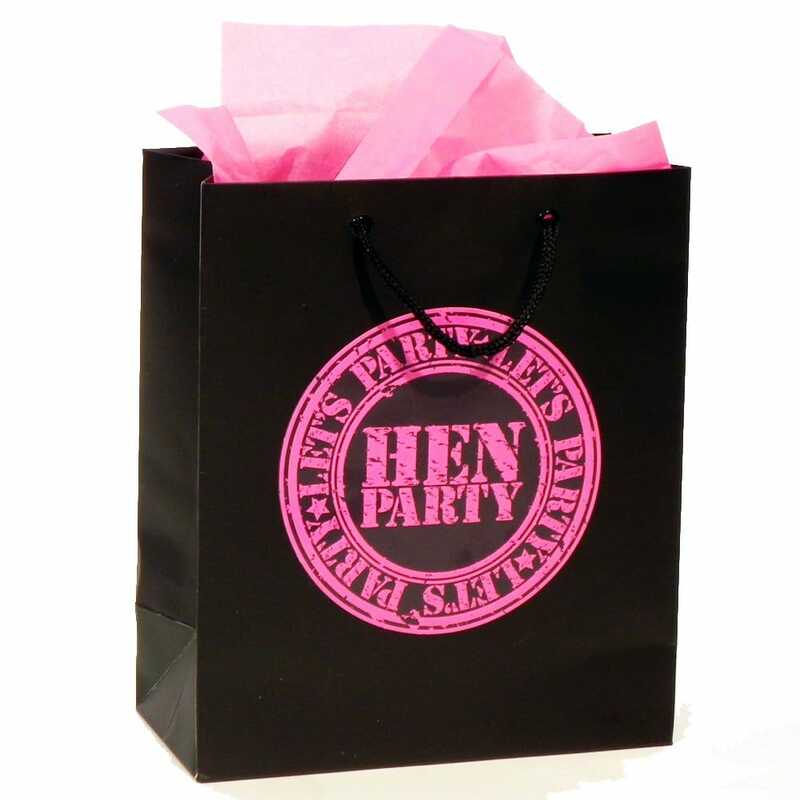 These black gift bags come with a funky hen party sticker that you simply peel and stick on to each bag. They are a must have for any hen party. With a gloss finish and gift tag you can treat your bride and let her know how much you love her. Why not treat all the hens to a surprise gift bag with little treats and gifts from our accessory and gift bag range.